Assuredly, the commission had reasons for making that rather blunt latter statement. They were seeking three separate additions to the county’s Gross Receipts Tax rate, additions that were passed and will now see Artesia’s GRT, or sales tax, jump from 7.8125 percent to 8.1458 effective Jan. 1, 2018. That rate will become the highest in the southeastern portion of the state and the fifth-largest in the southern half, which includes tourist destinations such as Ruidoso and Las Cruces. Artesians were, unsurprisingly, less than pleased. The board pointed out, more than once, the Artesia City Council has had its own hand in bringing the community’s GRT rate close enough to 8 percent for the county’s action to push it over the edge. 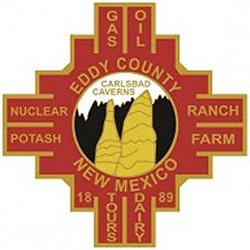 The funding the tax increases will generate is necessary to help keep Eddy County afloat as it continues to reel from the downturn in the oil and gas industry, the board said, and it made assurances any of the GRT increases passed – including the one-eighth of 1 percent implemented in 2015 – could be rescinded at any time, should the commission deem revenue had sufficiently rebounded. But according to citizens in attendance, the board also came upsettingly close at several points in the meeting to making another reason for refusing to postpone its votes high on the list: It was simply tired of listening to angry constituents. And that impression, they said, is likely to stick with them longer than the effects of the increases themselves. The first of the three proposed tax ordinances considered Thursday by the commission was a one-twelfth of 1 percent GRT increase that would be dedicated specifically to the county’s Safety Net Care Pool (SNCP) payment. The SNCP is a fund that reimburses hospitals for uncompensated care, such as that provided to indigent patients. That program was previously funded by the state but is now the responsibility of the counties. It’s just one of a number of unfunded mandates with which the state has saddled counties since it, too, began feeling the rippling effects of the oil and gas crisis. It’s become accepted – if certainly not understood – since the budget woes began that New Mexico will continue to cut and claw back wherever it can within counties and municipalities as it seeks to right its own ship. There was essentially no direct objection heard regarding the one-twelfth, and it passed, 4-1, with Commissioner Jon Henry of Artesia dissenting, based predominantly on the fact he objected on principle to all of the increases due to his belief the county had not done enough to educate the public on the need for the hikes. That ordinance’s passage alone would have gotten the meeting off to a tame start; but some of the commissioners and department heads elected to make their stances on all three increases clear from the onset, and it left little doubt, citizens said, as to what the outcome would be. It became quickly evident that county representatives had heard the majority of their public comments in the six days since the special meeting was announced from Artesia residents, and from there, the meeting took on a bit of an Artesia-Carlsbad football rivalry feel. In presenting figures that showed the three increases would raise sales taxes in the county to 71 cents on $100, county manager Rick Rudometkin acknowledged the fact Artesia’s rate would subsequently surpass 8 percent. Rudometkin proceeded to point out that 50 cities in the state have GRT rates about 8 percent, while assistant county manager Kenney Rayroux continued to stress the need for the additional taxes. “There’s been a lot of commentary about we’re not cutting back, we’re not doing this, we’re not doing that – the fact of the matter is, we have 28 frozen positions, so in essence, we’ve laid 28 personnel off already. From my viewpoint, we’re at a point where if we cut back any more, we’re going to start cutting services. Artesia was also a part of the commentary of public works director Ray Romero and facilities director Brian Stephens. “Last I heard, it is Eddy County, it isn’t Artesia County or it isn’t Carlsbad County,” said Romero, referencing calls his department receives from county residents regarding the condition of roads. “We went this route before with the two-eighths GRT; we had some officials come up, state their case, and it didn’t pass, so if any of those officials are here this morning, please come up with your checkbook or some sort of cash stating that, you know, we promise this. Stephens stated his belief that people speaking against the tax increases are not aware of the county’s statutory requirements on facilities regarding such expenses as utilities, custodians, maintenance and lawn care. Ronnie Barron of Artesia expressed concern over the tone the meeting was taking in regard to North Eddy County and also questioned the county’s use of funds prior to the oil and gas downturn. Artesia returned to the forefront, however, during what Commission Chairman Stella Davis warned would be her non-“politically correct” statement. “For everyone from Artesia here today that’s come to protest this board’s intentions, I have this question for you: Where were you when the City of Artesia continued to install 19 increments of GRT? Did you know they were being installed over a period of years that has brought your GRT rate close to 8 percent? Davis said anyone believing the county’s tax increases were unnecessary should “walk in our shoes” in the face of unfunded mandates and other actions taken by the state. Davis said the county does not charge the city landfill tipping fees amounting to approximately $600,000 annually and also referenced the community’s Department of Motor Vehicles office and other county satellite offices. “The county is not required to provide all these things,” Davis said. “You have a nice DMV office, you have the health office, you have satellite offices for the clerk and the assessor so your people don’t have to come down here. It’s a convenience, but it costs money. And we can cut costs; we can close all those offices. Davis said the county cannot continue to depend on the recovery of the oil and gas industry, and stated again that she was tired of being “hammered” with comments opposing tax increases. “I can tell you, people in Artesia, if this continues, there will be a time where we’re gonna have to look up there to see where we can cut,” Davis said. “You want cuts? We can make the cuts. We’ve cut as much as we can down here, but we can look up there. Commissioner Susan Crockett also expressed frustration, stating she had received several calls and emails of a personal nature. Crockett said the commissioners do what they can to lobby Santa Fe against the state’s actions but said those who “are constantly hammering us” would do better to direct their attentions to the state legislature and governor. “Having these hearings for GRT is kind of like being the parent of a teenager,” Crockett said. “People want to tell you and your teenager wants to tell you what’s right and wrong, but as a parent and a county commissioner, we’re the most informed. We’re the ones that sit in these meetings, we’re the ones to ask the tough questions of our county manager, of our department heads, we get all of the reports. Henry, meanwhile, said he did not, in fact, feel the commission had done enough to get information to the public regarding the increases and said the board’s focus on Artesia was unnecessary. “You’re from Artesia, so…” Davis interjected. Another thing on which the commission and most in attendance were in agreement was the need for additional funding for the Eddy County Detention Center (ECDC). ECDC was referred to several times as a “money pit” that had undergone several improvements and expansions but that is in need of immediate maintenance and eventual replacement. Some citizens questioned after the meeting why its replacement rather than improvements and expansions hadn’t been considered when county finances were plentiful. ECDC Warden Billy Massingill told the commission the facility’s average population in 2016 was 305, fluctuating at times to roughly 335 when inmates repeatedly bond out and end up reincarcerated. Chance Chase, vice president at Mack Energy Corp., addressed the commission, expressing concern over the fact no sunset clauses were included on the two one-eighth increments up for consideration. Chase told the board the lobbying group with which he is involved would be happy to help the county organize its efforts in Santa Fe and was also available to help the county put together visual explanations of the proposed increases to help the public better understand. “If people see it, they understand it better,” Chase said. “I have always said it would be amazing what we could do if the cities and county worked together as one, and a lot of times we don’t have that, and I think it would behoove us all to get together,” said Davis. “But to say we’ve not explained? We’ve explained and we’ve explained and we’ve explained, and all people are seeing is you’re going to put in a GRT. Burch, however, refuted the assertion that the county desired cooperation with its municipalities. “The budget process that the commission went through really wasn’t very transparent,” Burch said. “There was no invitation to participate, there was no input requested for those that were going to be impacted, the cities, the nonprofits, the other agencies. So now we have a budget that’s very harmful to some and very beneficial for others. Burch also took exception to the previous comments leveled at Artesia and its council. “Artesia was kind of cast as uncooperative and a little gnarly, I guess,” he said. “Let me remind this commission – we have a public safety building that we built about six years ago. The county contributed $1 million to that $21 million facility. The sheriff houses his staff in North Eddy County in that facility and pays no rent. That was a mutual agreement; that was a cooperative effort. Burch said the city offset its implementation of a two-eighths GRT increase by eliminating the city’s portion of property taxes. “It is the least the commission can do to openly and transparently represent the cities and the residents of Eddy County,” Burch said. Prior to the vote, Henry again petitioned the commission to take the time to better explain to the public exactly how the funds would be used to improve ECDC. “We don’t have those numbers, and without those numbers, I think enacting a tax today which doesn’t even take effect till January… we can postpone this a month or two, we can have these discussions,” Henry said. “People are just afraid because they don’t see where it’s going. Davis, however, said in her mind, the commission had learned a “valuable lesson” from its 2015 GRT hearings. “We drug that out for nine months,” Davis said. “We explained ourselves to death, and I’m getting angry. We explained ourselves to death on this. We went out to organizations, had it in the paper, and nobody got it. They just saw ‘taxes,’ and it doesn’t matter – when you use that three letter word, ‘tax,’ is just drives people crazy. In response to questions regarding the county’s reserve funding, Davis said it wouldn’t be prudent of the county to dip into those funds to address the needs at ECDC. “I can tell you, most people, if they take something out of savings and they say, ‘Oh, I’ll put it back,’ you don’t get a chance to put it back because life happens and other things are happening, so therefore, that’s not going to get put back. The ordinance passed 4-1, with Henry dissenting. The final tax increase in front of the commission Thursday included one-eighth of 1 percent to benefit the general fund. While the county managers stated the money would likely be used to address issues such as public safety and roads, citizens and officials who spoke against it said “likely” was a sticking point, with general purpose funds ultimately available to be used at the county’s discretion. Barron also raised the issue of county employee salaries, saying a call placed to New Mexico Workforce Solutions placed Eddy County at the top in terms of pay. “If you don’t have the money, that’s not the way to run a business,” said Barron. “I am so tired of hearing about our county employees and what they’re getting paid,” said Davis. “Give it a rest, please, because these employees deserve what they get. Henry stated that while the one-twelfth increase was specifically dedicated to the SNCP and the first one-eighth to ECDC, the fact that the general purpose increase had no clear usage outlined pointed above the others to a need for public hearings. Commissioner James Walterscheid agreed that with intentions for general purpose funds not clearly defined, additional explanation to the public would be beneficial. “How much more can we get kicked to the curb if we keep postponing and keep postponing,” said Davis. “The phone calls and emails I’ve gotten the last two or three days, I don’t know if I want to endure another three months of those or not,” said Wood. “The 33 cents on $100 I don’t think is going to close a business’ door. I go to Ruidoso a lot and the GRT up there is over 8 percent, and I buy stuff up there, but I don’t see a dime’s worth of difference… I don’t even notice it. Carlsbad business owner Sandi Wilkie also urged the commission to better indicate its intentions for the funds, saying the people of the county have lost their trust in the board. “Input should always be not only welcomed but sought after,” Wilkie said. “The problem the citizens have is not about pennies on the dollar. This is an issue of trust, and the citizens do not trust the county government. Henry motioned to delay the vote until after public hearings could be held. That motion failed 2-3, with Davis, Crockett and Wood dissenting. The motion to pass the increase passed 3-2, with Henry and Walterscheid dissenting.